Nose: Powerful and lively, flavors of lemon confit complimented by woody notes: Pepper, clove, fresh tobacco. Palate: Vanilla and toasted notes, with a fine and graceful rancio. The Michel Forgeron Vieille Reserve Grande Champagne is a blend of eaux-de-vie that have each been aged for at least 30 years. Allowed to naturally increase in alcohol, it's a slightly over-proof offering at 45%. It's a powerful cognac, yet well rounded and complex. Extremely aromatic, it also possesses great rancio, as one would expect from such an old reserve. This Grande Champagne blend offers exceptional value for money for such quality. And they've kept the packaging traditionally simple, with a classic shaped bottle and label. A superb cognac to own or to give as a gift. 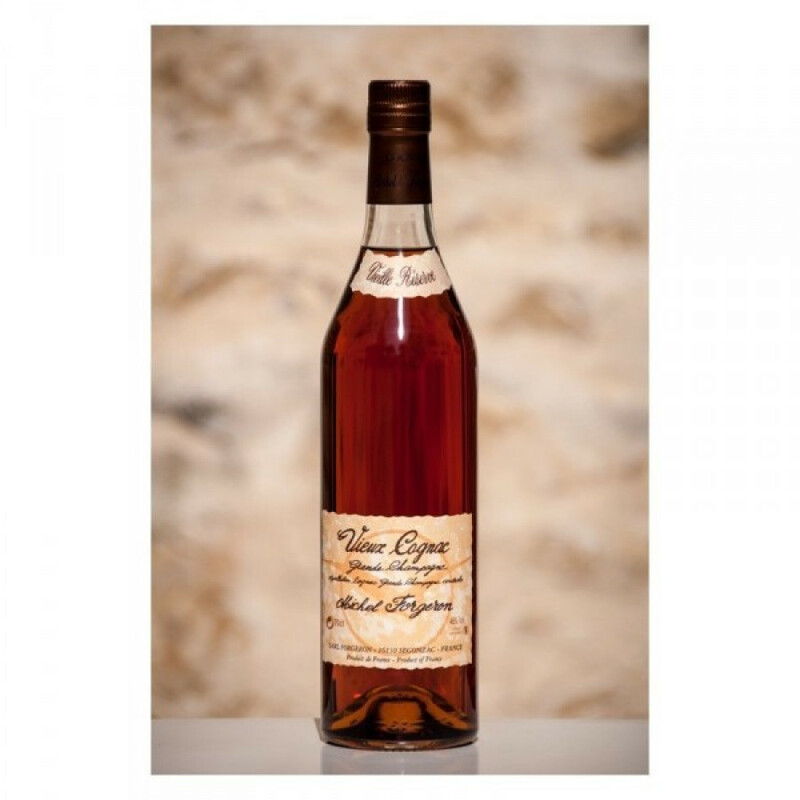 If you've yet to discoer Michel Forgeron's cognac's, then this would be a wonderful introduction to their range.